After Thanksgiving is over, the holiday season kicks into full gear. We quickly start thinking about finding the perfect gifts. We often get so caught up in buying things, and making lists of what we want, that we forget about the true joy of giving. 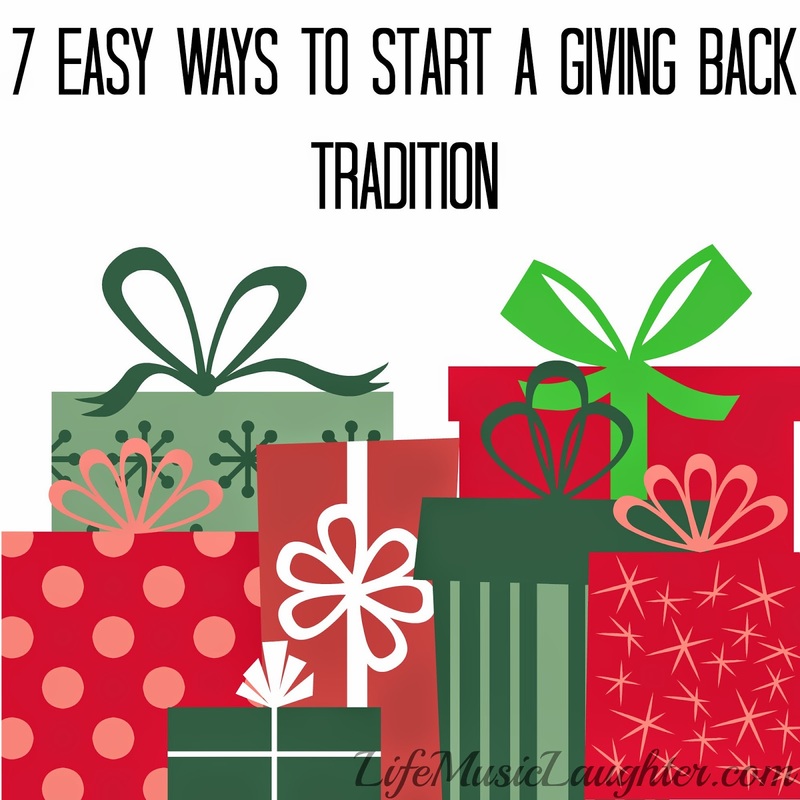 You can change this by starting a giving back tradition with your family. Use this holiday season to think about giving back to the community and helping those in need. By getting your children involved with this, you can teach them the importance of giving to others. Find a local shelter/ soup kitchen to volunteer your time to cook, or serve food. Organize a canned food drive with a local charitable organization. Have your kids help you shop for toys for a local toy drive. Replace gift exchanges at work with a group effort to buy needed items for a local shelter. Check with a local school to see if they have any families in need that you could "adopt" to help provide a happier holiday. Money can be tight, if you can't afford to donate money, or buy new items, make this the time of year to clean out your closets and donate good used items. Have your children do the same. When buying gifts, buy from companies that have programs to give back, or benefit small communities. Many online shopping programs offer charitable options like smile.Amazon or you can use a cashback shopping site like ebates and donate your earnings. Get your children involved with your plan to give back. Instead of having them write their Christmas lists right away, have them think about children that may not have as much, and ask them how they think we can help. Then they can write a "giving list". This can help children to get excited about giving by using their own ideas. It may also help them to appreciate their own gifts even more. I love this! It is so important to find ways to give back with your family!